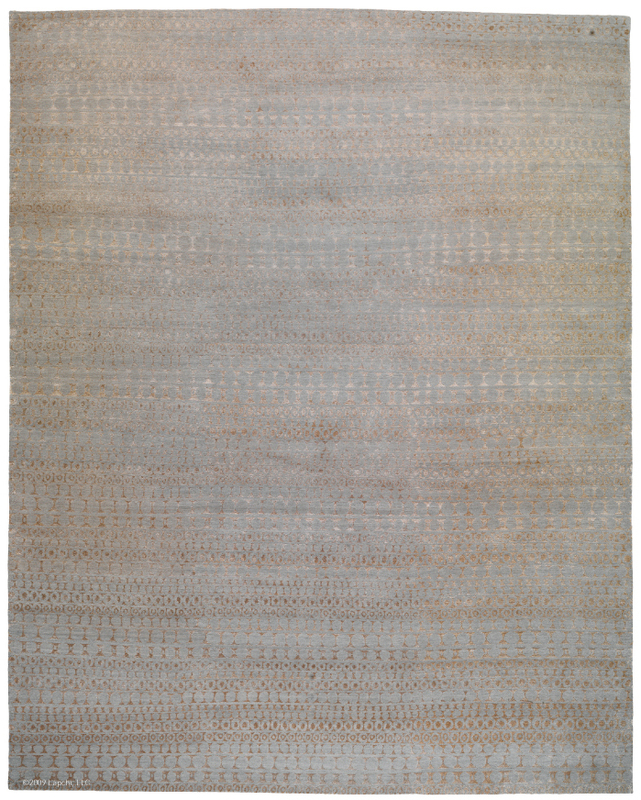 This Nepali made transitional rug is simple yet striking, hand knotted from fine 100 knot wool and 50% lustrous silk. Utilizing a unique geometric design of various sized dots and rows, and a gorgeous modern inspired palette of cool tones, Lapchi Mosaic rugs will bring clarity and energy to any contemporary space. The artisan craftsmanship and average thickness of the pile has a beautiful sheen that is resilient and amazingly soft underfoot.